Spotify "might not launch in the US after all"
After years of promising an impending US launch, popular European music streaming service Spotify might be considering throwing in the towel stateside. According to a report from The Telegraph today, the Swedish company is being held back by high financial demands from record companies and is pausing negotiations to reconsider its position entirely. Citing sources close to the negotiations, the report claims that the US divisions of major labels are demanding high advance fees, having little faith in Spotify’s current business model. In Europe, Spotify offers a free ad-supported option, with users being able to pay a monthly subscription to remove ads and gain access to the service’s mobile app. Although Spotify refused to comment on the suggestion that it was giving up on the US, it did tell The Telegraph that it now had no firm date for a US launch but that talks were “ongoing”. The mess that is Spotify’s continually stalled US launch plans has become a running joke, with the date continually being pushed back and all the while US alternatives like Rdio and Groovshark gaining traction there. 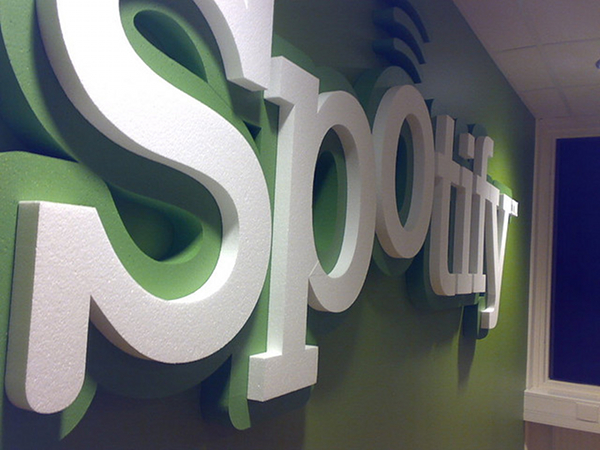 With Spotify now profitable in its original home of Sweden and the service well established in markets such as the UK, it must surely be tempting for Spotify to reject the US market altogether. If the US labels make launching there prohibitively expensive, it may have no choice in the matter.